This week on The Space Show with David Livingston…. Monday, Oct. 10: New Archived Program: This is a 40 plus minute interview with Josh Hopkins of Lockheed Martin from the recent AIAA Space 2011 Conference in Long Beach, CA. In this interview, we talk to Josh about human spaceflight to Mars, Phobos, and Deimos, Mars launch windows, solar max and the impact on radiation shielding going to Mars and much more. When you see this program archived and set for podcasting on the website and the blog, it is ready for play. *** 2. Wednesday, Oct. 12, 2011, 7-8:30 PM PDT: Special Day & Special Time: Dr. Stephen Johnson returns regarding his new systems engineering book, “System Health Management: with Aerospace Applications,” plus how to deal with system failures, recent NASA experiences, and longer-term historical & techno-economic views. SPECIAL DAY, SPECIAL TIME: 3. Thursday, Oct. 13, 2011, 7-9 PM PDT: Dr. Haym Benaroya, Dr. John Jurist and I address Part 2 of creating a quality space program. Friday, Oct. 14, 2011, 9:30-11 AM PDT: We welcome back Jane Reifert of Incredible Adventures for updates, space adventure travel market insights, and more. Sunday, Oct. 16, 2011, 12-1:30 PM PDT: We welcome Loretta Hall, author of “Out of This World” which is a great book about the New Mexico space industry. Don’t miss this discussion. 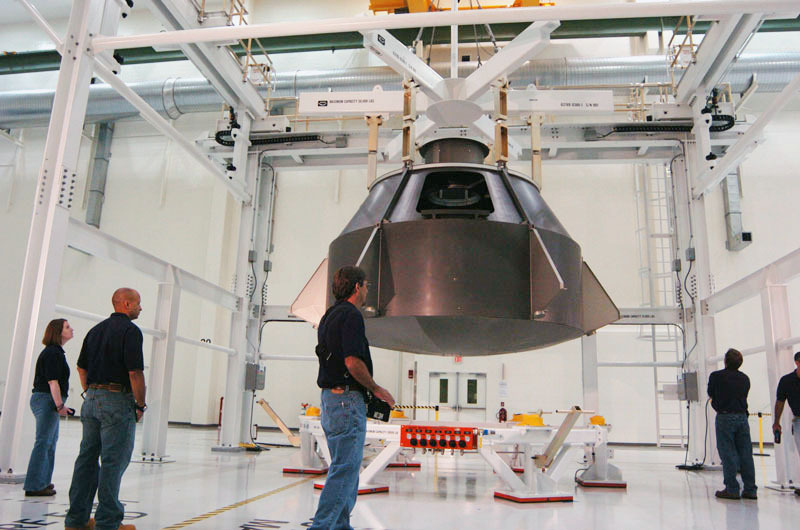 The Lockheed Martin (NYSE: LMT) Orion team shipped out the first Orion crew module spacecraft structure today from NASA’s Michoud Assembly Facility in New Orleans, La. The spacecraft is headed to Lockheed Martin’s Denver, Colo. facilities where it will undergo a series of rigorous tests to confirm Orion’s ability to safely fly astronauts through all the harsh environments of deep space exploration missions. 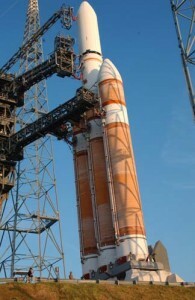 While 2011 is expected to be a banner year for NASAâ€™s planetary science program with three missions scheduled for launch, future initiatives are threatened by budget uncertainties and a dramatic spike in the price of launch vehicles, according to an agency official. â€œThis is a really difficult financial environment,â€ Jim Green, NASAâ€™s director of planetary science, said Dec. 15 at a meeting of the American Geophysical Union here. 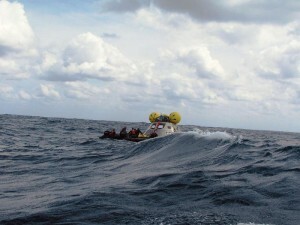 Rides into orbit for NASAâ€™s 2011 planetary missions, the Mars Science Laboratory (MSL), the Juno mission to Jupiter and the Moon-bound Gravity Recovery and Interior Laboratory (GRAIL), were purchased under the first NASA Launch Services (NLS) contract. 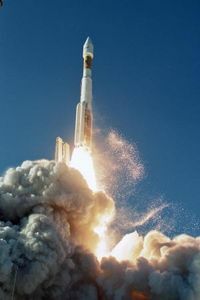 That contract, which does not include specific quantities of rockets to be purchased or delivery dates, sets prices for launch vehicles and related services for NASAâ€™s planetary, Earth observing, exploration and scientific satellites. 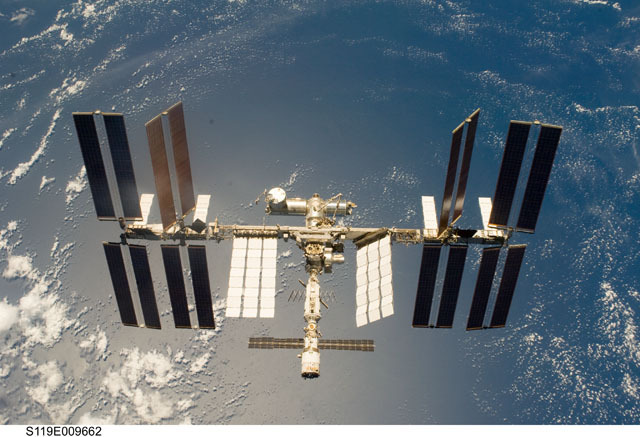 NASA has awarded a contract with a potential value of $171 million to Lockheed Martin Corp. of Gaithersburg, Md., for support of International Space Station cargo mission services. 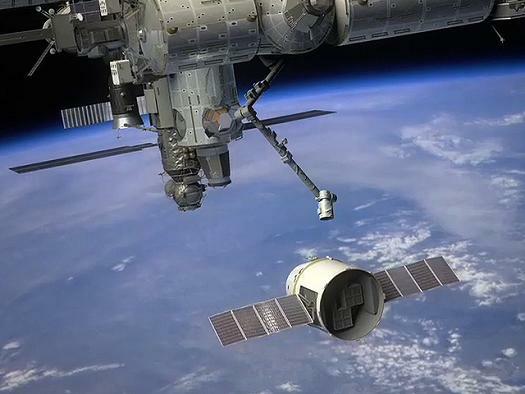 The contract will support planning, coordination, preparation and packing of standardized containers for cargo missions to the station by international partner and commercial cargo vehicles. Lockheed Martin will process flight crew equipment including clothing and personal hygiene items, housekeeping items, audio and video equipment, laptop computers, batteries and crew survival equipment. The contract also includes provisions to support similar services for future vehicles to the station. Lockheed Martin Corp.’s development of a new astronaut capsule for the National Aeronautics and Space Administration, seemingly sidetracked by White House opposition barely a few months ago, now appears to be gaining traction with a proposed unmanned test flight as early as 2013. Hampton Universityâ€™s School of Engineering and Technology was awarded a research contract from Lockheed Martin for $93,000. Dr. Morris H. Morgan, III, professor in the Department of Engineering and principal investigator of the contract, and Vitali Khaikine, a researcher in the Department of Engineering, will work in the HU Aeropropulsion Center ( HU-APC ), at the HU Olin engineering building, researching designs to allow aircraft to fly at super and hypersonic speeds. 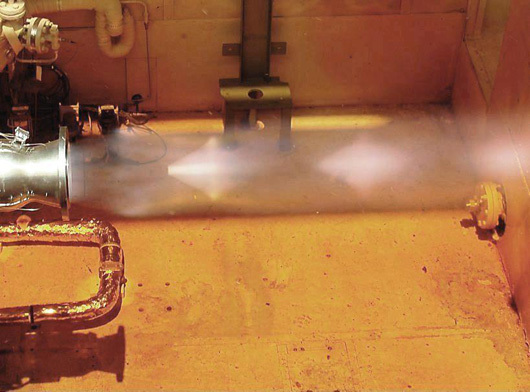 Aerojet, a GenCorp (NYSE:GY – News) company, in conjunction with Lockheed Martin and NASA, successfully completed acceptance testing on the second R-4D development engine. The R-4D is the Aerojet engine that will be used on NASA’s Orion crew exploration vehicle for the service module auxiliary propulsion. Eight R-4D engines, arranged in four pods of two each, will provide thrust for critical Orion maneuvers. Lockheed Martin, the biggest US defence, aerospace and military technology corporation, broached the subject recently with the Indian Space Research Organisation (ISRO) and its export arm, Antrix. 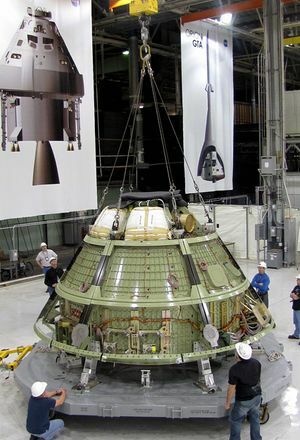 Lockheed Martin officials along with Colorado lawmakers are warning that NASAâ€™s spending plan for the Orion crew capsule over the next year is insufficient to retain the programâ€™s current development work force and would make it difficult to conduct a flight test of a vehicle prototype the company envisions for late 2013. Layoffs began last week at key NASA centers and contractors as a result of multiple factors. Some related to the wind down of the space shuttle program. Others resulted from Congressional action that will transition the space agency away from the Constellation program. A smaller number involved NASA budget reductions to one center. 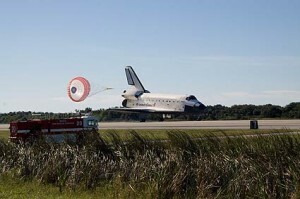 Boeing, Lockheed Martin on NASA Budget: Kaching! “Passage of the NASA Authorization Bill by the 111th Congress is a monumental feat and one that will continue to sustain the United States’ commitment to human spaceflight and exploration. We applaud Congress for achieving a bipartisan, bicameral resolution and for its commitment to maintaining U.S. leadership in space. Preparations for Orionâ€™s first mission in 2013 are well under way as a Lockheed Martin-led crew begins lean assembly pathfinding operations for the spacecraft. The crew is conducting simulated manufacturing and assembly operations with a full-scale Orion mockup to verify the tools, processes and spacecraft integration procedures work as expected. The Washington Post has an excellent summary of NASA’s budget standoff that includes some interesting insights into the process. 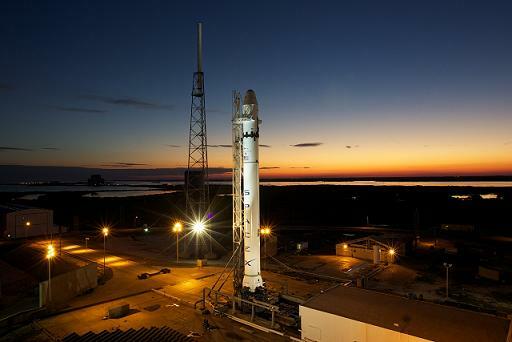 It mentioned how opponents of the President’s commercial space plan focused so much attention on Elon Musk and SpaceX, pointing to a lack of experience as a reason for continuing with NASA’s Constellation program. Given the attacks on Musk and his company, the Senate compromise funding commercial space efforts passed only after Boeing gave congressional staffers a detailed presentation about its own space plans, participants in the negotiations said. 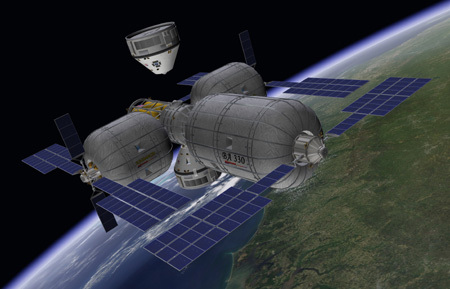 The company announced an agreement last week to develop commercial space taxis for the space station. Gov. Bill Ritter today congratulated two Colorado aerospace companies for winning NASA contracts. Lockheed Martin Space Systems of Denver and United Launch Alliance of Littleton were two of four companies awarded contracts by NASA to be used for various NASA satellite launch projects. The contract has the ability to service 70 launch missions for NASA with a combined value of up to $15 billion for the four companies receiving awards. The other two companies awarded contracts were Orbital Sciences Corporation of Dulles, VA., and Exploration Technologies of Hawthorne, CA.